After centuries asleep, the deep power of Primal Groudon-EX erupts from the land as Primal Kyogre-EX crashes in from the sea, riding titanic waves into battle! 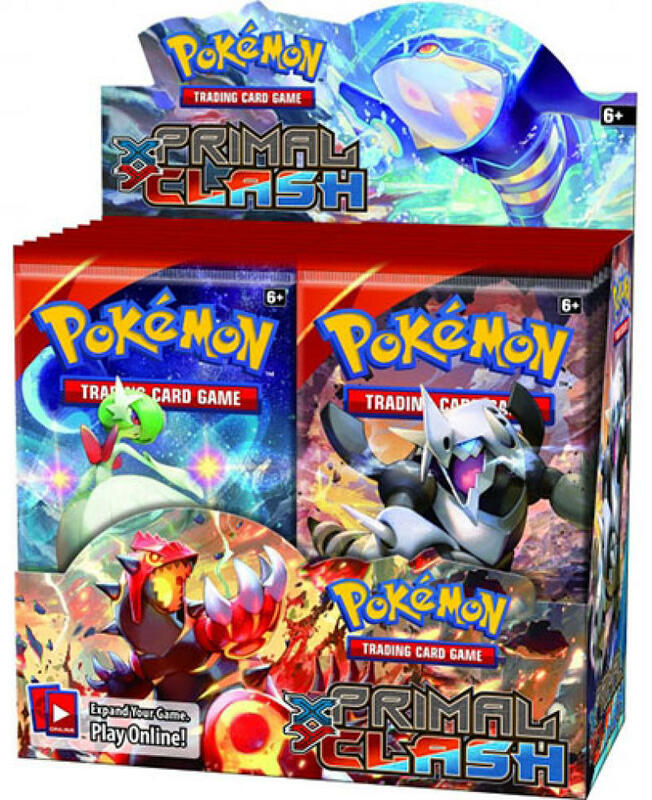 With colossal new arrivals like Mega Gardevoir-EX and Mega Aggron-EX, the Pokemon TCG: XY - Primal Clash expansion is alive with the primordial power of Ancient Traits - plus all-new Spirit Link and Special Energy cards! Let the earth shake and the oceans thunder, and get ready for a primal clash like no other!